Billboards have become an important part of business marketing. It has turned out to be an effective means of advertising a company’s products and services. It has also been widely used by television networks and movie producers in the promotion of new events in the entertainment industry. It has also been gradually adapted by politicians in political campaigns. Truly, billboards have a lot to offer us and here are some of these great offerings that I’ll be discussing in this article. Just like any marketing paraphernalia, when billboards convey the right message that suits your business, they actually have a forceful street level presence that is easily being noticed by motorists. They have this surprising element to grasp interest and get people talking about what they speak about. They have the ability to catch people’s attention at any time of the day especially when you’re traveling, shopping or having a cup of coffee or a meal with your family and friends. Upon seeing these ads, these people who are potential clients easily absorb the messages. Where billboards are placed, there are no instant advertised competitors. Through them, advertisers obtain a long-lasting image. You can maintain a unique trademark with these custom printed graphics. They can be showed off anywhere depending on how long its advertisers want them to be exhibited in there. They are salespersons that work for your business or company 24 hours a day, 365 days a year. They cannot be turned off or put down. They successfully target specific markets for maximum results. When you consider billboards as your marketing tools, you can reduce the advertising costs. They are indeed economical because there is no need for continuous production of these billboards. Only a few copies which will be situated in places that are easily accessed by many people are necessary. The fact that these billboard advertisements will show off daily is a must for advertisers because they can communicate effectively to a large extent. Billboards may just seem to be a small thing but they are actually the ones that help companies in making and keeping many clients. Indeed, billboards are powerful visual graphics because the images and messages that they contain speak a thousand words. They are a visually dominant, stimulating advertising media. Compared to traditional media that add any number of pages or spots to hold many advertisers when necessary, billboards have certainly made advertising so easy. These things only manifest the good things that billboards bring to their viewers. Outdoor advertising is hugely effective, primarily because it sits easily with what consumers are doing, it doesn't need to be turned on, tuned in, logged onto or have the page turned. Just as importantly it is not intrusive. A viewer sitting in traffic responds to a billboard more favourably than he might respond to an advertisement that is interrupting his favourite TV show, or cutting short a favourite song on the radio. Quite simply, the billboard is there, and it is viewed through choice. 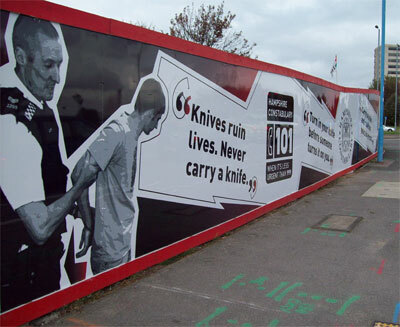 Traditional wisdom states that the most effective outdoor advertising should be engaging, humorous, colourful and informative. Add to this the potential for interactivity made possible by short-run digital print, and the positive effects of outdoor advertising could perhaps be multiplied many times. As an example of this, consider a billboard promoting a new car. Naturally it should inspire the viewer, perhaps even instil in them a wish to buy, or at very least try one - in that few seconds of viewing time such a call to action is made possible by digitally printing specific, well targeted messages. How? 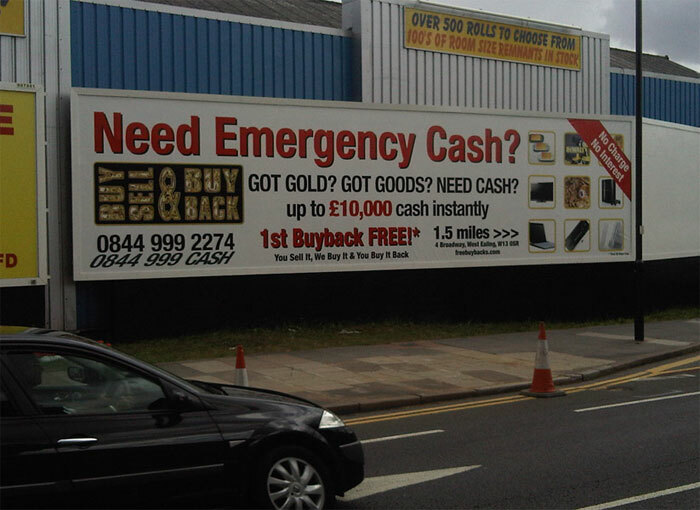 Rather than simply showing a picture of a car, why not utilise the ability to localise and target the poster by including the Telephone number of the dealer nearest to that particular billboard site. Previously the viewer might have had a passing interest in the vehicle, perhaps even aspired to own one. Now you have given him the information necessary to actually start the sales process.